Improving the appeal of a home before it’s put on the market for sale is important, however, sellers are often hesitant to spend any money on their property prior to sale. And fair enough, given that they won’t be in the property to enjoy the improvements. 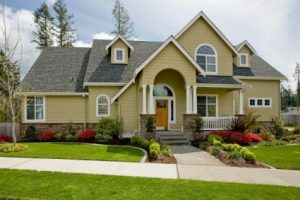 With this in mind, AREA Title Agency, Inc has the below tips to help a seller improve the appeal of their home without spending a lot of money. Before you stop reading, a fresh coat of paint isn’t as expensive as you first think. By choosing low-cost paint in a neutral tone and painting the property yourself, this job can be completed without spending too much money. The purpose of this task and the reason why it’s so important because it not only adds a fresh look to your home but a neutral tone helps potential buyers to visualize how their life or even their improvements will fit into your property. Creaking doors and sticking windows can often make buyers think that the foundations of a home are moving, causing the structure to experience problems as a result. Even if it’s just a matter of stuck window or an unoiled hinge. Take a tour of your home and, if the door creaks or the window doesn’t open, repair it. These fixes don’t cost any money and only require a small amount of time. After a bathroom, a kitchen is the most expensive repair and renovation work in a property. For this reason, it’s important that buyers don’t give sellers any reason to suspect that they will need to fund a large and expensive renovation job once settlement occurs. Whether this means cleaning the kitchen thoroughly, bleaching the tiles, or even repairing a dishwasher, complete these small maintenance items and reap the results. Savvy buyers looking to protect their investment and satisfy their lender requirements will want title insurance in Toledo, OH. Find out more about the benefits of title insurance in Toledo, OH by calling AREA Title Agency, Inc at (419) 242-5485 to find out more and to get the ball rolling with a thorough title search.